When my wife and I became vegan over six years ago, one of the first things we were concerned with was where we’d find vegan snacks (nope, it wasn’t “where would we get our protein” because we knew plants had us covered, and “but bacon” was all good with over 2,539 different alternatives or substitutes). So many pressing snack questions swirled about – What would be our new go-tos? Where do we find them? How can we get them? Guess what? 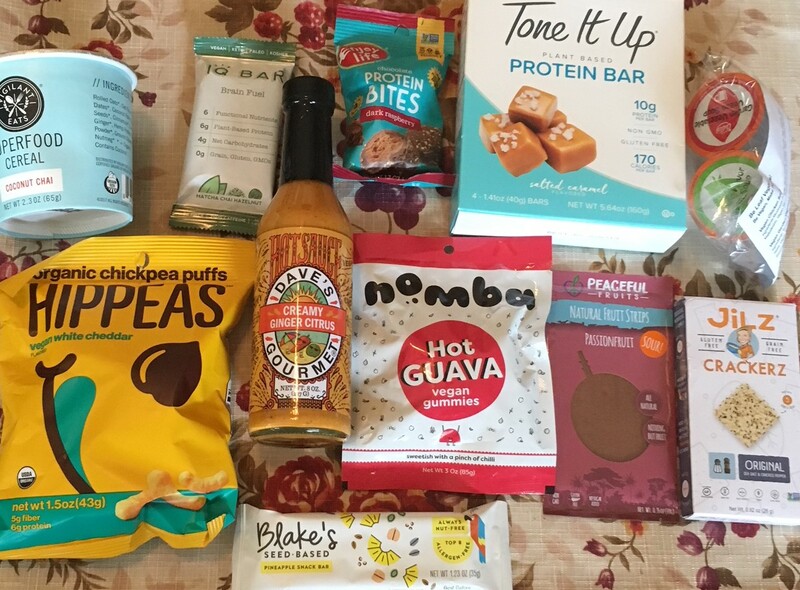 Vegan snacking is a WHOLE lot easier thanks to Vegan Cuts subscription boxes! According to their website, their goal is to make it fun and easy for people to discover new vegan companies, try vegan products and shop vegan. Nice! I couldn’t be more on board. From chips to cookies and sodas to teas, subscribe to their snack boxes and each month they’ll send you 10 or more vegan goodies straight to your door. Plus, not only do they have snack boxes but beauty boxes – with vegan makeup and skin care – as well! While all of the products were good in their own right, there were a few that stuck out as our favorites of the bunch. Nomba Hot Guava vegan gummies. These are pretty interesting because they’re both sweet and chewy with a KICK of chili pepper. It’s fairly hard to describe the taste, but if you are a spice-o-phile (like I am) I would highly recommend the flavor journey. They’re like nothing I’ve had before. In a good way. Blake’s Seed-Based Pineapple Snack Bar. While I was a little apprehensive at first to try it since I wasn’t sure how all of these ingredients would come together to taste, I was hooked after my first bite. It tasted very healthy given all of the wonderful seeds it contained (think pumpkin, sunflower, and flax) but had a subtle hint of pineapple just to give some sweetness to even it out. Even though it was a wrapped and processed bar, it tasted very fresh. All in all, I would HIGHLY recommend Vegan Cuts snack boxes as a gift for someone or, hey, treat yourself! It’s a great idea and gives you a chance to try some really great plant-based products you might not otherwise have an opportunity to try. Let me know if you get a Vegan Cuts snack box and keep me posted on which products were your favorites!